Larry Wilmore’s The Nightly Show was regrettably canceled just before the presidential election—or from another perspective, it was serendipitously spared from the drones that will be dispatched against anyone who dares joke about Donald Trump. 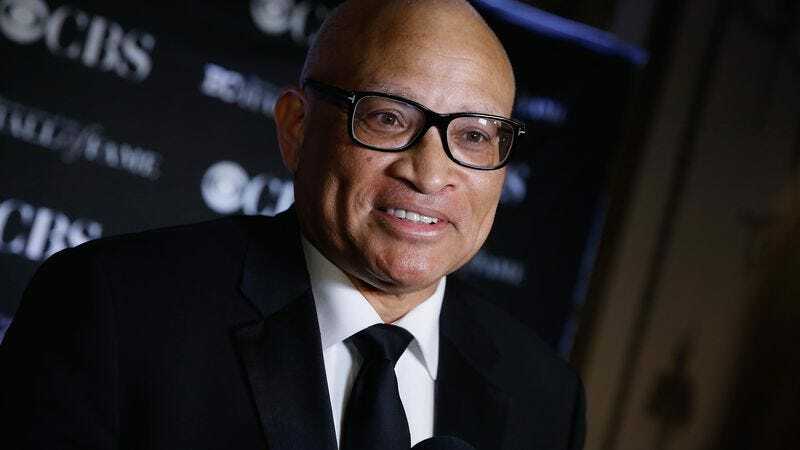 But, for now at least, Wilmore is both bravely walking outside and gainfully employed, as ABC Studios has just signed him up for a multi-year overall deal to develop new shows and talent. Wilmore has a long history with ABC that began when he was just a writer on Sister, Sister; he’s since served as an executive producer on the network’s Black-ish, which he co-created and was all set to help run before Comedy Central offered him Stephen Colbert’s former slot, only to take it away after 19 months. But that’s in the recent past, and now Wilmore is focused on the future—and that future likely portends more comedy about fictional people with invented problems, rather than trying to mine laughs out of Bill Cosby’s rapes, Flint’s poisoned water, Black Lives Matter protests, or the rest of our flailing, fractious nation. Wilmore’s list of behind-the-scenes credits also includes The PJs, The Bernie Mac Show, and more recently, HBO’s Insecure, so he has plenty of experience with creating shows and fostering talent, a role that he says in a statement he’s “excited beyond words” to resume full-time for ABC. It’s not clear yet whether Wilmore when or if he’s actually looking to be in front of the cameras again. Though after January, it’s possible no one will want to be.